you feel very important simply because you are in the centre of attention on the wedding day. 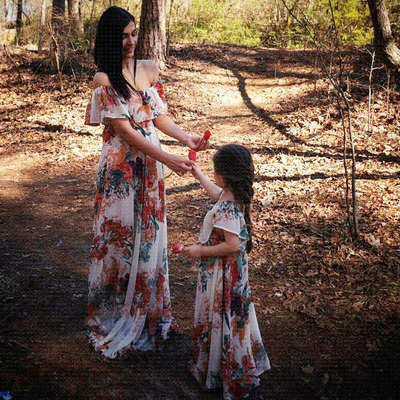 If you are a bride-to-be, consider having a flower girl to follow you down the aisle - that will definitely make your day look even more fascinating. 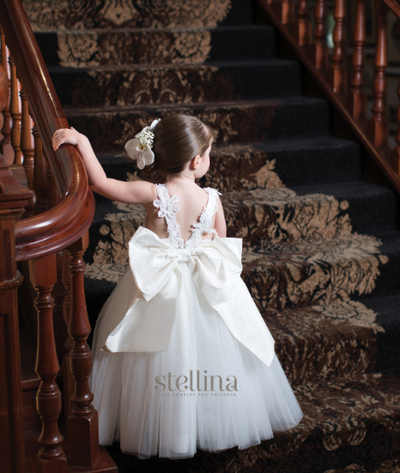 Here are four fashionable trends for flower girls, so check them out. Many modern brides want that flower girls' dresses are similar in colour to their wedding dresses. These are usually white, gold, ivory or pink. It is crucial that the beading is the same, as well as the fabric – however, it is also very important that they are allowed to run freely and have fun in their dresses. It is essential that the girls are comfortable, and matching them up with your dress will just add up to an overall impression of elegance. 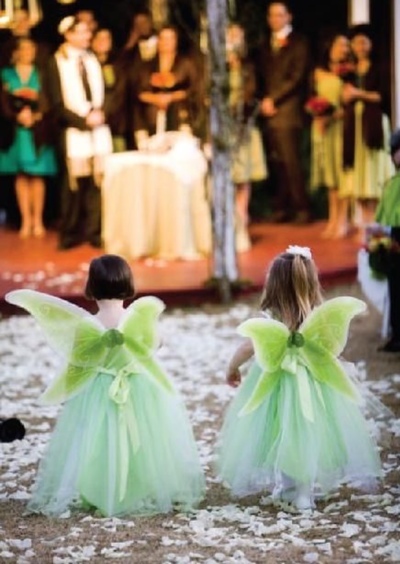 Instead of dressing flower girls in white, which happens most often – you can be a groundbreaking bride who will add some colours to your wedding day. It is true that white dresses look more elegant and sophisticated, however, introducing colourful details will make a huge difference. You can pair up the vibrant ribbon on flower girl’s basket with ribbons in her hair, or her shoes with a sash in the same colour. Put a spin on flower girl’s dress and choose pastels such as lavender, pale green or dusty pink for an ultimate gorgeous look. These cute signs are one of the latest trends when it comes to wedding organisation. 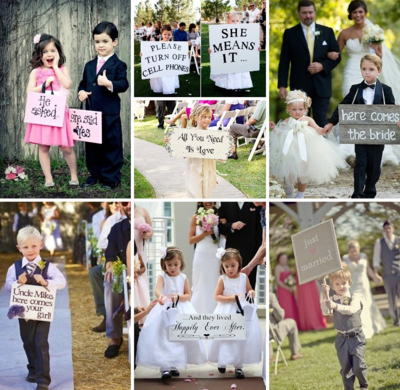 Little flower girls holding a sign with a humorous or traditional note is actually a great way to brighten up guests while they are nervously waiting to see the star of the day – the bride. One of the ideas for humorous signs is “Time to tie the knot!”, and it will certainly make all the guests giggle. On the other hand, traditional ones may say “Here comes the bride!” or “Here comes the love of your life!”, and these may even bring some tears of joy among the family and friends. Little girls love glamorous gowns, simply because they remind them of their favourite Disney princesses. No matter whether it is made of silk, lace or satin – they will absolutely love it. Also, tiered skirts are an amazing option, because it adds an amazing amount of volume to the dress and creates a stunning shape. Glamorous flower girl sashes are a great choice, especially when their colour matches the bridesmaid dresses. When it comes to sleeves, you should know that these will add a touch of sophistication to their outfit, and make them look even more adorable. Flower girls are indeed the true representatives of bliss and delight. They will make your glamorous day look even more glamorous by adding a touch of their irresistible charm. You will definitely not regret if you choose to have one of them following you down the aisle. view all articles by emma.